Having your own home is a blessing. It is even more when you share it with people who love you. 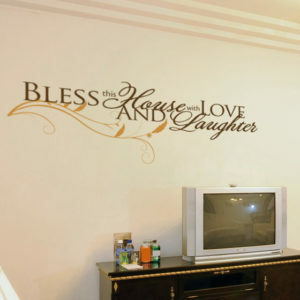 At DecorativeLettering we have wall letters that are suitable for the family room. As shown in this photo, they do look right at home above the television set. They complement the underlying wall making them visible. 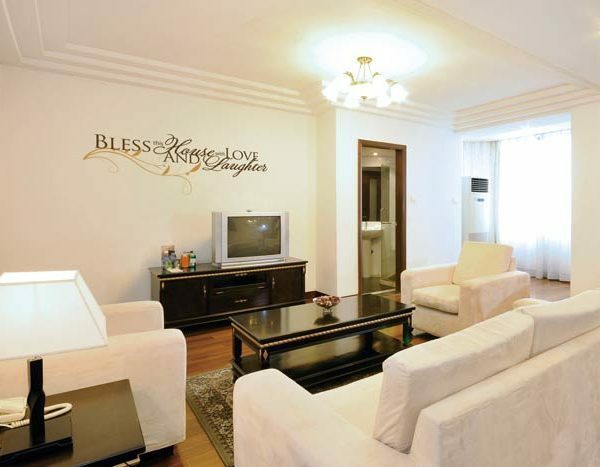 They also tie in well with the rest of the decor and furniture in the room: the couches facing the wall and lamp shade. They are also beautiful accents and do brighten the room. 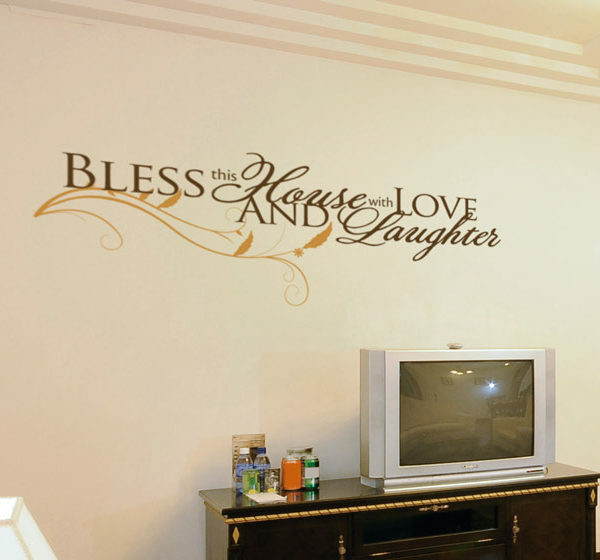 This is a creative way of decorating your room without incurring heavy expenses. 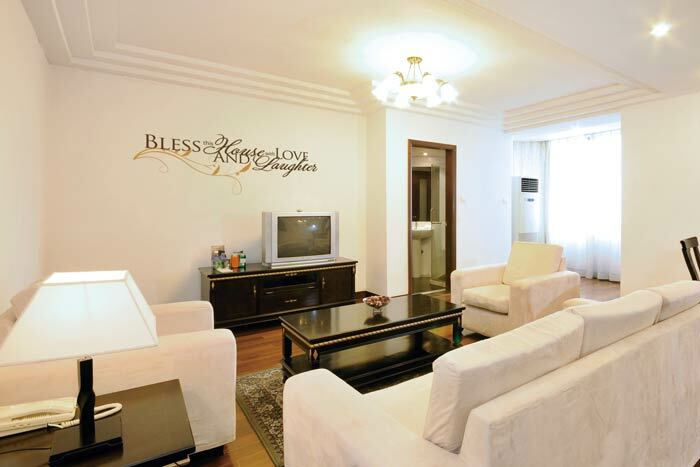 Friends and family will enjoy relaxing in this room! Our wall quotes are easy to apply. All you have to do is peel the back sheet and stick them onto the wall. They come in two color designs which means that they will tie in well with the color theme and decor tin the room. They are also pre spaced so that you do not have to cut them out yourself. 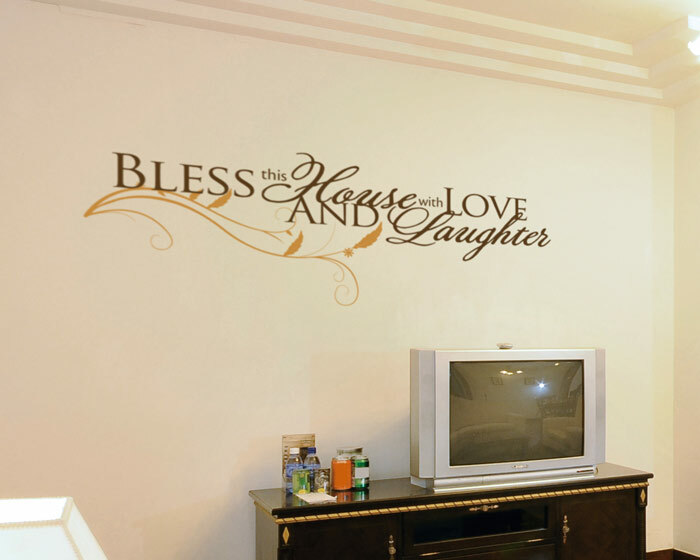 Wall letters from DecorativeLettering are affordable and an excellent gift to a family that has just moved in to their new house. They are also great as wedding and anniversary presents.They are durable and will last a long time. They will not be affected by temperature changes and are easy to maintain. Do call or email: let us help you decorate your family room.